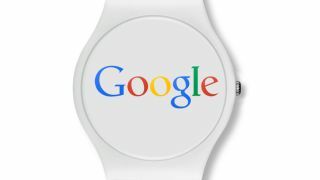 Google Now on your wrist? If it's up to Google, Samsung and Sony won't have the smartwatch spotlight all to themselves - the search giant is believed to have its own device in development, and it may be headed to manufacturing soon. The Wall Street Journal is out with a new report that Google is "in talks" with various Asian suppliers about an Android-powered smartwatch that could land in an growing market early next year. According to unnamed sources familiar with the Google watch plans, the wearable device will integrate existing personal assistant features from Google Now, such as answering questions, predicting information based on what the user is doing and offering recommendations. Like the current Samsung Galaxy Gear and Sony Smartwatch 2, Google's smartwatch would also be capable of communicating with other devices like smartphones, while also tapping into information from the wearer's Google account. Google is said to be in the late stages of developing its smartwatch, which could be readied for mass production "within months," according to one source. First, the Android maker will need to shore up manufacturing plans with Asian suppliers, a process sources claim is well under way. Meanwhile, Google is reportedly looking a methods to reduce the power consumption of its prototypes in an effort to cut down on how frequently the wearable device would need to be charged. According to ABI Research cited in the report, wearable devices are expected to hit 485 million units by 2018, a market that Google has already been exploring with its Google Glass eyewear.